SeoHub Fast Loading Blogger Template is the most SEO friendly and fast loading blogger template you can find on the net, SeoHub blogger template is made with best SEO tactics and super clean code to perform better in search engine results. With SeoHub you can create your niche or event site very easily it can be used for, news, tech, daily blog, tutorials, events, authority blogs etc. This template has very advance but simple codes which will boost your blog traffic and deliver top level performance. 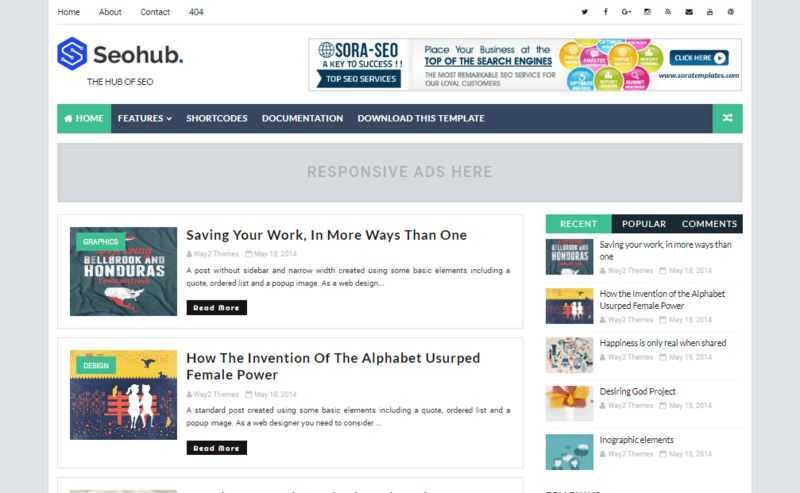 SeoHub helps you go from blogger to boss by giving you the most professional-looking and functioning news site on the net. it comes with a mobile-first-design, 2 column layouts, 3 Featured widgets, leaderboard ad, fast loading layout. Following are some of the key features of SeoHub blogger template. Most SEO Friendly Design - HOT! !